Preserved Wood that stands up to the elements. Our range of Wolmanized® Outdoor® Treated Lumber combines the natural beauty of real wood with a next-generation preservative and a lifetime limited warranty against termites and fungal decay. Proven after a decade across four continents, Wolmanized® Pressure Treated wood is ideal for decking, railing and structural deck components, playgrounds, other backyard projects, and freshwater immersion applications. Wolmanized® wood can be painted or stained. It’s more economical than cedar or durable grades of redwood and plastic composites. And it’s made from a renewable resource that’s treated to last for decades, reducing demands on forests. Species most commonly used in Pressure Treated wood manufacture are Hem/Fir (a mixture of Western Hemlock and Amabilis Fir), SPF (a mixture of White Spruce, Engelmann Spruce, Lodgepole Pine and Alpine Fir) and for some specialist applications – where lumber must be of a certain higher standard, Douglas Fir. Wolmanized® Residential Outdoor® utilises CA (Copper Azole) and ACZA treatment methods. CA Treated Lumber products are what we supply year round, whereas ACZA Treated Lumber is available by special order. 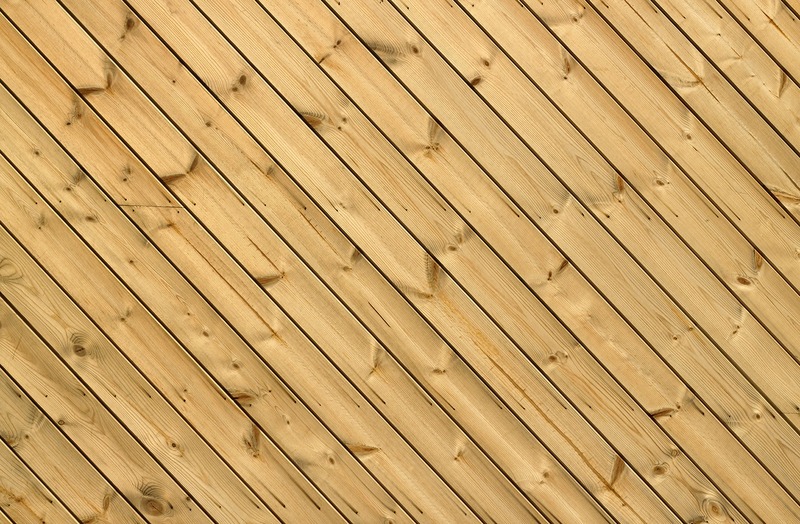 Treated Plywood can be used for a variety of applications. Our mills only Treat the best quality Plywoods, to ensure quality and performance. IN STOCK: 4×8 Sheets in 3/8″, 1/2″ and 3/4″ thicknesses. No maintenance is needed to renew resistance to fungi and termites. Wolmanized® wood has a lifetime limited warranty against these organisms. To help protect your project against moisture damage, apply an effective brand of water repellent as soon as your project is finished or, for large projects, as sections are completed. Water repellent should be re-applied every year or two. To revitalize a dingy appearance caused by dirt, mildew and mould, use a deck brightener to clean the wood. If you do plan to paint or stain your Treated Lumber, please note that, depending on the season – freshly Treated Wood can retain a high moisture content for several months and should be allowed time to season before painting. We recommend allowing upto 3 months before you attempt to apply a finish to new treated lumber and always follow the manufacturers instructions for best results. You can find a range of suitable paint and stain products in-store and as well as helpful advice from our friendly and experienced staff. Treated Lumber contain high levels of Copper and are therefore extremely corrosive to bare metal. As well as a good pair of work gloves and safety glasses, we recommend using Simpson Strong-Tie Zemax Connectors, Hot Dipped Galvanized Brackets, ACQ (or equivalent) Coated Screws or Stainless Steel fasteners in all treated wood products, so that your fasteners last as long as the wood itself. For Permanent Wood Foundations and applications that are continually wet or exposed to salt water splash, salt air, or chemical exposure, use 304 or 316 marine grade stainless steel. ALUMINUM should not be used in direct contact with Treated wood. Our Wolmanized® Treated Lumber has been preserved by pressure-treatment with a PMRA registered pesticides, copper azole (CA), to protect it from termite attack and fungal decay. Wood treated with any preservative should be used only where such protection is important. In the treating process, copper azole penetrates into the wood where it remains for a long time. However, some chemical may migrate from the preserved wood into surrounding soil over time and may also be dislodged from the wood surface upon contact with skin. Exposure to copper azole may present certain hazards. Therefore, the following precautions should be taken both when handling the preserved wood and in determining where to use and dispose of it. Many of these precautions also apply to untreated wood and other building materials. Do not use treated wood under circumstances where the preservative may become a component of food or animal feed. Only treated wood that is visibly clean and free of surface residue should be used where contact is likely. Treated wood should not be used where it may come into direct or indirect contact with drinking water. Dispose of treated wood by ordinary trash collection. TREATED WOOD SHOULD NOT BE BURNED. Avoid frequent or prolonged inhalation of sawdust from wood, treated or untreated. When sawing, sanding, and machining wood, wear a dust mask. Whenever possible, these operations should be performed outdoors. Wear gloves when working with wood. Use proper techniques when lifting. Because preservatives absorb into fabrics, clothing should be laundered before reuse. Wash work clothes separately from other household clothing. Always Seal Your End Cuts! PRO TIP Any time you make a cut in Treated Lumber, you are exposing the un-treated core of the wood which does not get saturated with preservatives during the treatment process. This voids your warranty as it exposes the ends of the lumber to moisture ingress and rot. With a modest investment of only $15 CAD + tax per 936ml, sealing these ends with an approved End-Cut-Sealer such as Cut-N-Seal prevents compromising both the warranty and the structural integrity of the wood.